All the buzz around Snapchat and its decline of Facebook’s $3 billion acquisition offer has caused quite a stir. But I’m not here to offer another analysis on whether it was a smart move or not. No, there are plenty of those articles written by people much smarter than I. Rather, I’m looking at the concept of the app and the demographics of the audience gobbling it up. I was reminded that Snapchat’s young Millennial users have “never known life without the Internet,” and thus, rarely a life with wait time. Hence the reason Snapchat – with text and photo messages that disappear in a few seconds – is so popular with this crowd. Everything is here, now. Blink – and you miss it. I’m getting old, I know this. Because all of this news made me think about what a valuable lesson (multiple lessons, really) it was for me as a teen to learn to wait. Waiting is hard. And that’s what makes it so good. Unlike today’s instant gratification, give-it-to-me now generation, my generation had to wait. We waited for remote control TVs (my brother used to torture me if I didn’t get up and turn that dial for him). We waited for real home cooked meals, prepared by parents who we had to wait for to arrive home from work (in the days when people didn’t work 24/7), and we had to wait for everyone to sit down at the table before we could eat. We ate together and everyone waited – and talked – for everyone else to be finished before asking to be excused. We had to wait to use the phone. And when we finally got our turn, we had to wait for it to dial as it went around…..and around…. and around… seven whole times before a connection was made! We had to wait for our MTV. But it was totally worth it. We had to wait for Casey Kasem to go through 40 whole songs to tell us every week what the Top song was. And we had to wait – two fingers on each the “record” button and the “play” button – for our favorite songs to be played so we could make a crude copy for home listening. On our boom boxes. Otherwise, we’d be waiting forever for the tapes (not the gift wrapping kind) to arrive in our local record store. Yes, I said record store. They were cool. We had to wait to go shopping. At a store. For me, living in Wyoming as a teen, the closest mall was three hours away! No online shopping – which was probably a good thing for my folks. We had to wait for mail. The kind that arrives in a mailbox on the street and has letters from people who wrote them. On paper. With ink. We had to wait for photos. Yes, seriously. We took them, having no idea what they looked like and then we had to go drop them off at a store and wait, like, a whole week to get them developed. They were on this thing called film. And when we finally got them back, we couldn’t crop and edit and get rid of our red eye. Tragic. We had to wait for movies. To arrive in theaters. Where we had to wait in line to buy tickets! We had to wait for the coolest, latest books and posters, which we ordered through Scholastic school fundraising. And the day your shipment arrived in class it was so awesome! Because we had been waiting! And I remember the biggest “waiting” lesson of all that my parents taught me. To not rush everything – to enjoy the wait. Because half the fun is in the anticipation. Before you know it, it’s over. With instant access, gratification, delivery, results – what do today’s kids wait for? Do they know the feeling of anticipation, patience and reward? And if not, how will it affect their adulthood? Do they appreciate what they have because they get everything they want on demand? I know I struggle with this in raising my children. They have little patience and short attention spans. It amazes me sometimes how they are constantly thinking of what’s next instead of enjoying what’s happening now – because they don’t want to wait even one minute for something they’re in the middle of. Waiting is good. Does anyone else remember this feeling? This entry was posted in Personal and tagged kids, life lessons, Millennial, parenting, patience, teens, waiting on November 14, 2013 by Christine. The kid just cracks me up… On vacation RP and JP constantly fought over who could get to our hotel door first, and who got to open it with the key… unfortunately, JP didn’t quite get the key part… take notice of what they key says. And enjoy the song and dance. This entry was posted in kids, Personal and tagged family vacation, humor, kids, song and dance on September 20, 2009 by Christine. 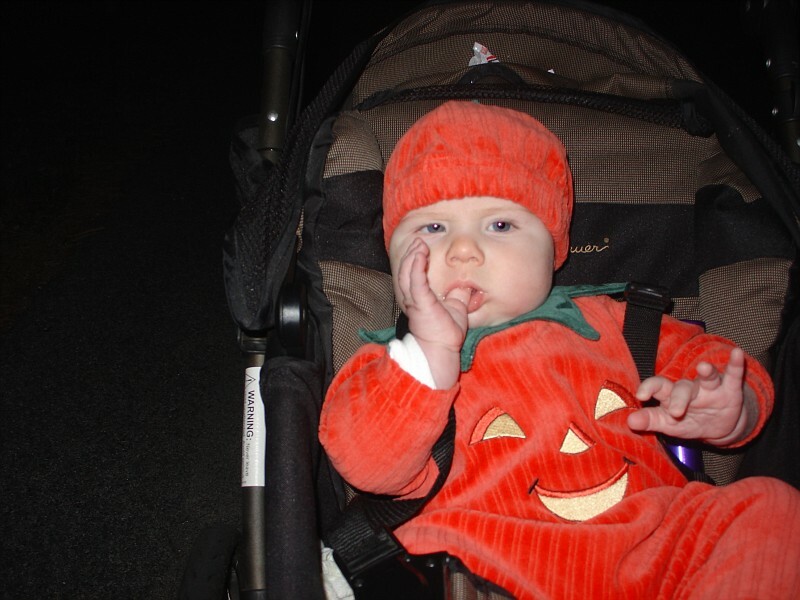 Like many parents, I am gearing up for Halloween tonight. I’m hoping I can get out of work to take JP and RP trick-or-treating at a decent hour. Unfortunately, my husband didn’t have time to make his usual cardboard creations, which have totally “ruled the neighborhood” the last two years – complete with working electronic gadgets. So, this year the kids are just astronauts – but handsome ones nonetheless. 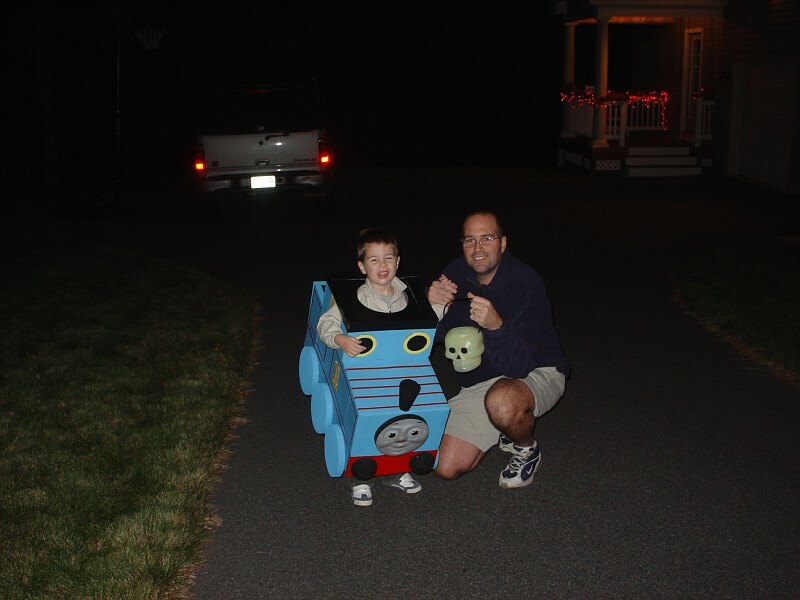 Here’s a quick history of RP’s costumes – we started out weak but really took it home the last two years with a race car that had working lights and a horn and, in 2005, a very-carefully crafted Thomas the Tank Engine. 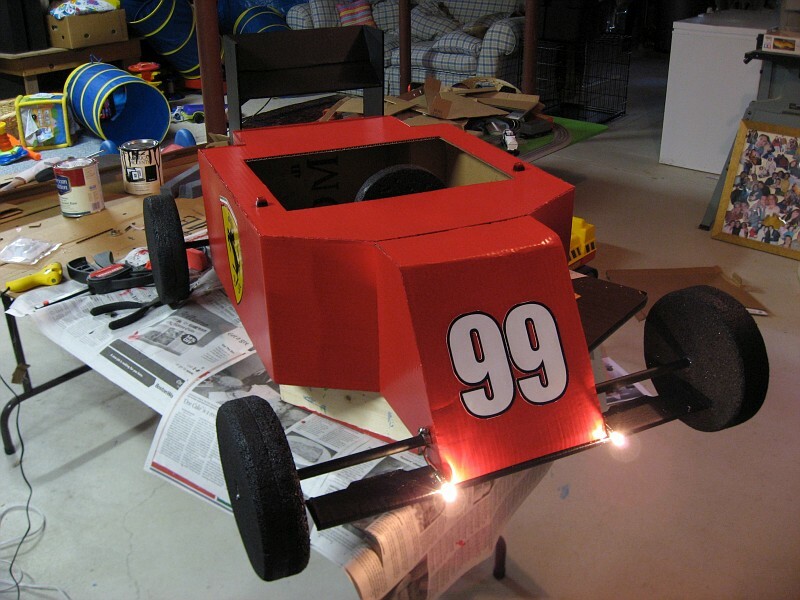 2006 – A sweet race car that won Best Costume, of course! 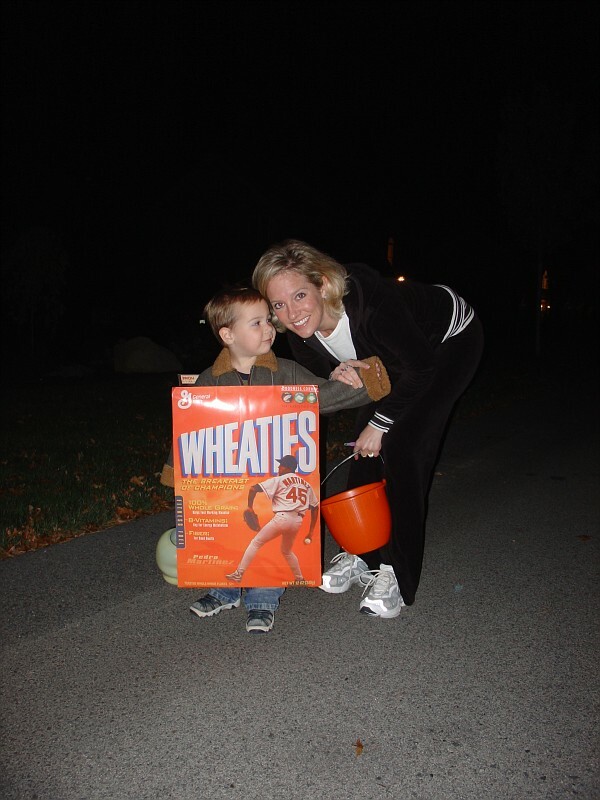 2004 – Poor kid; obviously his parents were busy that year – Wheaties Box, really?! At least it had Pedro on it! 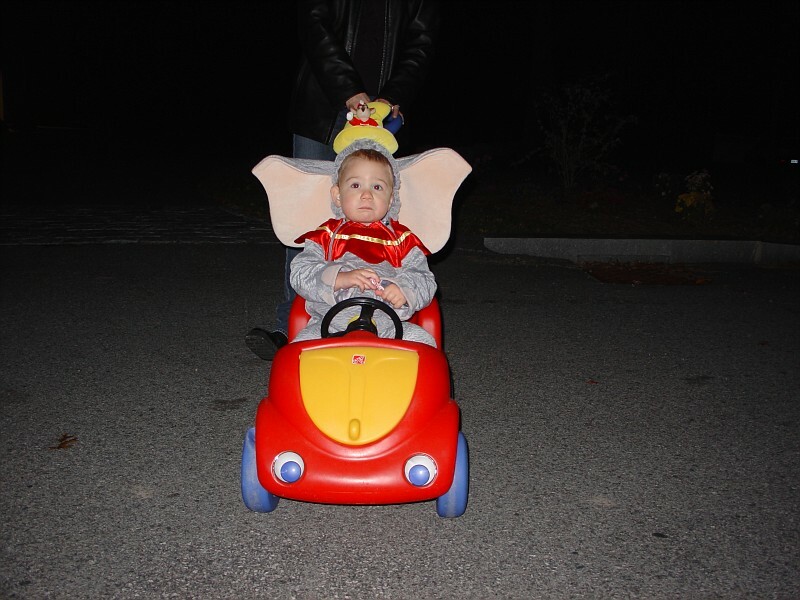 2003 – Dumbo was no work for us but still darn cute. 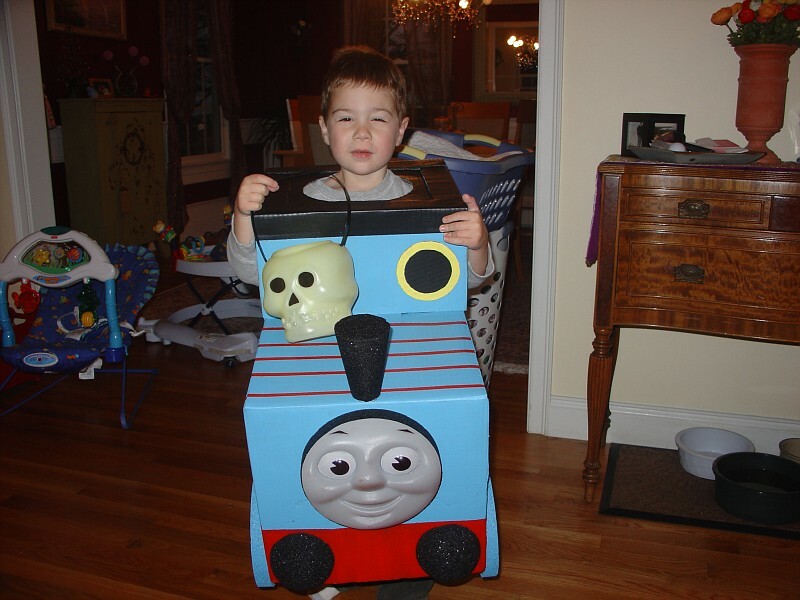 This entry was posted in family, Halloween, kids, life, parenting, Personal and tagged cardboard costumes, family, Halloween costumes, kids, Thomas the Tank Engine on October 31, 2007 by Christine.